DISCLAIMER: No warranty is made, expressed or implied, regarding the accuracy or validity of these products, or regarding the suitability of the products for any particular application. The North Carolina State University Dept. of Marine, Earth & Atmospheric Sciences is working with NOAA OR&R Emergency Response Division to have a plan in place if the oil makes its way into the Loop Current and Gulf Stream. NOAA OR&R has been using the SABGOM model fields in their offshore surface oil forecast. View the latest interviews and information here. Skidaway Institute of Oceanography has set up a web page on the spill and its relevance to Georgia. University of Miami Rosenstiel School of Marine and Atmospheric Sciences was tasked to provide an exploratory, baseline oceanic temperature survey to map oceanic structure between the Loop Current (LC), and its surrounding eddy field. Visit the Web site for specific details on the data and information for the media. Florida Fish & Wildlife Research Institute is providing MODIS, SST (AVHRR), Trajectory, Loop Current Position maps, available online. 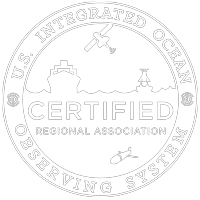 Roffer's Ocean Fishing Forecasting Service, Inc. (ROFFS™) Deepwater Horizon Rig oil spill monitoring. University of South Florida Ocean Circulation Group, providing modeling of the event. USF is analyzing an ensemble of models (WFS ROMS in HYCOM, Global HYCOM, GOM HYCOM, RTOFS, SABGOM), and are also doing subsurface tracking and have done this from the onset of this crisis. NOAA is using these materials in daily map products and the Coast Guard is also using the maps from this Web site. Dr. Weisberg was an invited speaker at a Congressional briefing to the Florida delegation in Washington DC headed by Chancellor Brogan of the State University System May 26,2010. View his presentation. University of South Florida website to facilitate visualization of the geographic extent and movement of the spill through an image archive of 250-m resolution MODIS satellite images. Univeristy of South Florida completed a model study finding hydrocarbons from the Deepwater Horizon oil spill may have permeated the West Florida Shelf and even Tampa Bay.